Prices are a bit steep compared to conventional-powertrain compacts, and passenger room is tight. 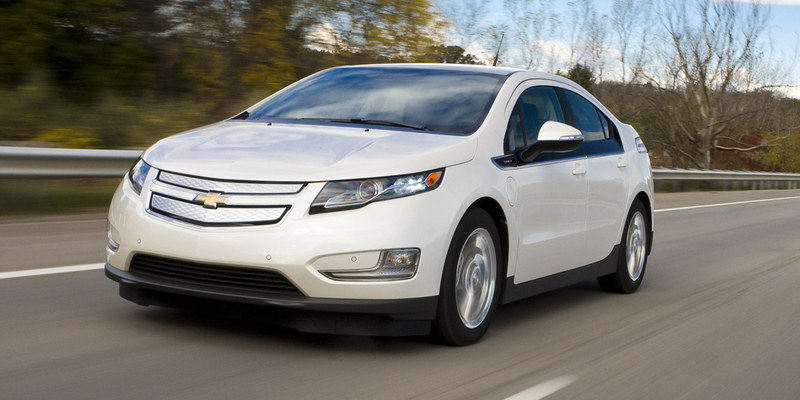 Volt is the only popularly priced vehicle of its type. Volt is what parent-company General Motors calls an “Extended Range Electric Vehicle.” This 4-door hatchback runs on just battery power for about the first 35 miles after a full charge. When the battery starts to run low, a gas engine kicks on that turns a generator that produces electricity to drive the car. The Volt can then be driven another 300 or so miles, at which point the gas tank can be refilled as in any normal car, and you can keep going. But those who travel short distances every day will only rarely need to add fuel. A “Hold” setting allows drivers to engage the gasoline engine before the battery discharges. By allowing the gasoline engine to run when the vehicle is driven on the highway, it helps preserve the battery’s charge for city driving, where pure battery operation is the most beneficial. 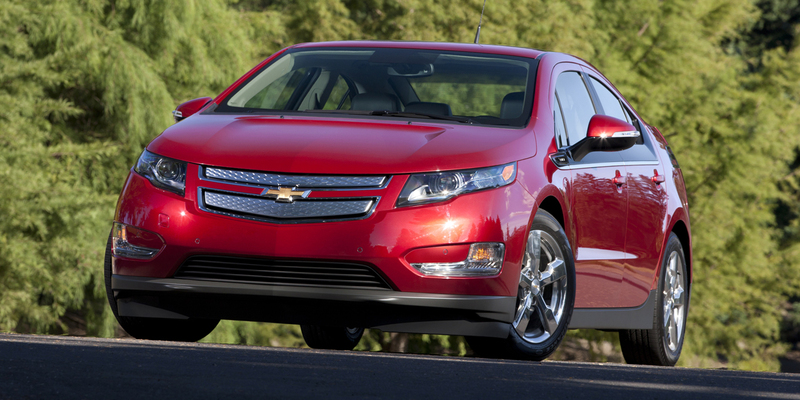 The Chevrolet Volt gets available 4G LTE Internet connectivity with a built-in WiFi hotspot for 2015. Also, the capacity of the Volt’s lithium-ion battery pack is increased slightly—this could marginally improve the Volt’s all-electric range in some conditions, but the EPA’s range estimate is unchanged. 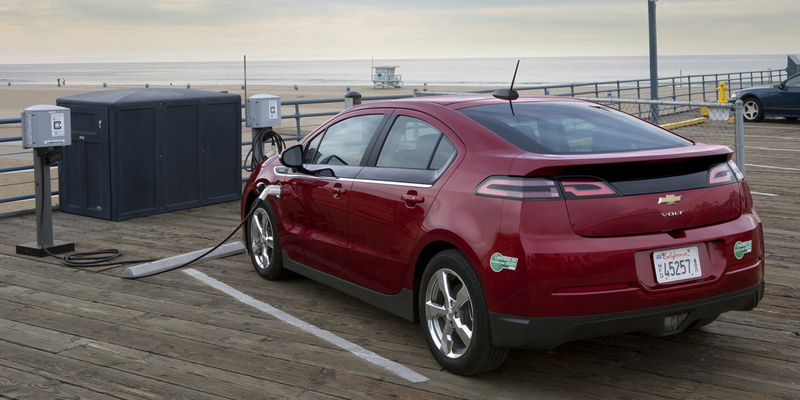 The EPA estimates Volt will be able to go up to 38 miles solely on battery power. Using the EPA’s “miles per gallon equivalent” formula, Volt gets a rating of 101 city/93 highway. The gas engine alone scores 35 mpg city/40 mpg highway. 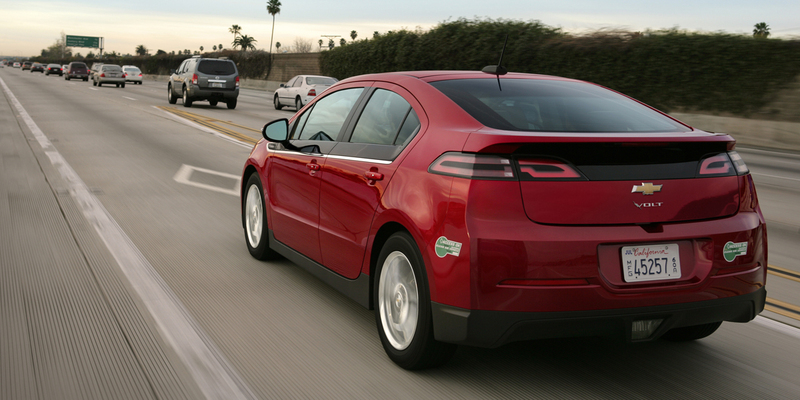 In Consumer Guide® testing, the Volt ran for 29-41 miles on electric power (at a cost of about 2 cents per mile) before automatically switching on the gas engine. Running on just the gas engine, we averaged 36.4-43.7 mpg. Volt requires premium-grade gasoline. Even taking its sophisticated drivetrain out of the picture, Volt is still a decent compact car by most objective measures. And for many folks, it’s the best way to “go green,” as its gas powertrain relieves the “range anxiety” other electric cars can prompt.